AG Adriano Goldschmied Griffin style 7.4 oz. 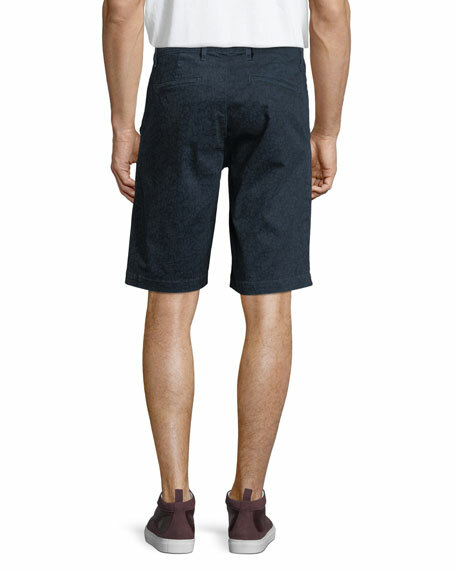 twill shorts. Logo patch at back hip. 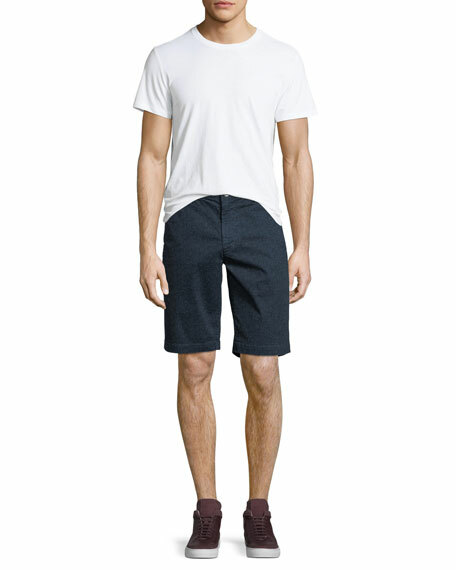 Peter Millar soft twill shorts. Two front slip pockets; back button welt pockets. Straight legs; cropped above knee. Button/zip fly; belt loops. Cotton/spandex. Imported. Model's measurements: Height, 6'1"/185cm, waist 32"/81cm, suit 40L, shirt 15x34, inseam 32"/81cm. Prps "Keith" denim shorts with bleach splatter. Approx. measurements: 15" inseam, 25" outseam; 18" leg opening. Five-pocket style. Leather logo patch at back waist. Distressed detailing through legs. Slim fit. Raw hem. Button/zip fly; belt loops. Cotton. Imported. Model's measurements: Height 6'1"/185cm, waist 32"/81cm, typically wears size M.
Prps shorts in heavily distressed and shredded denim. Five-pocket style. Slim fit through straight leg. 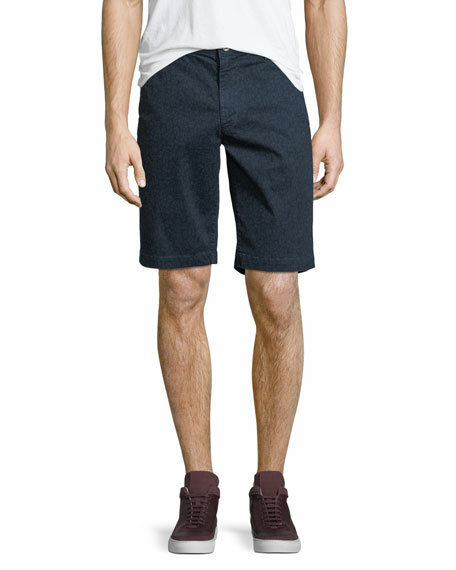 Cutoff hem; knee length. Button/zip fly; belt loops. Cotton. Imported. Model's measurements: Height 6'1"/185cm, waist 32"/81cm, typically wears size M.